GitHub, a web-based hosting service for software development projects that use the Git revision control system, is the most popular code repository site for open source projects. Github also offers private code repositories. Unito is bringing your favorite project and work management tools together in under 30 seconds using its synchronization platform! Either use basic synchronization or customize exactly what and how to sync, both just take a few clicks. Unito runs in the background doing all the hard work: once you setup the connection, no need to leave your favorite app again. 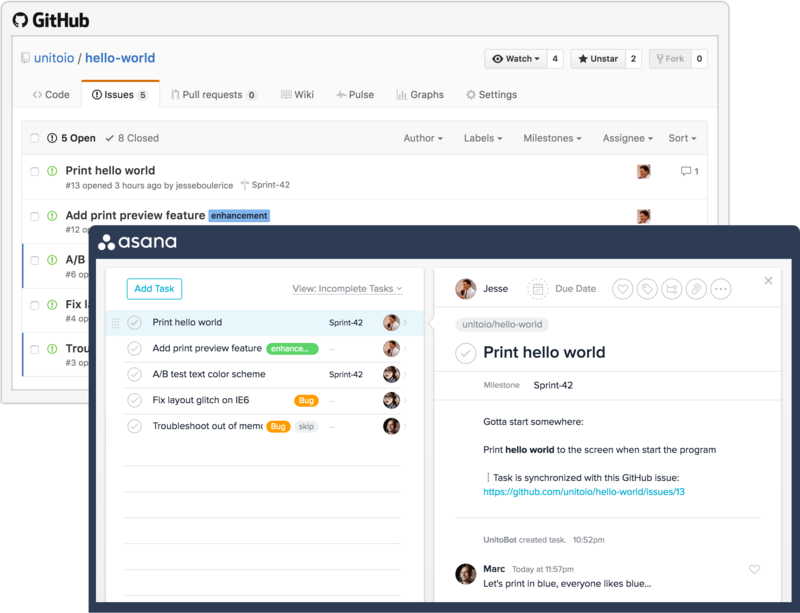 Connect your Asana and GitHub user accounts. Select which GitHub repositories you want to sync.